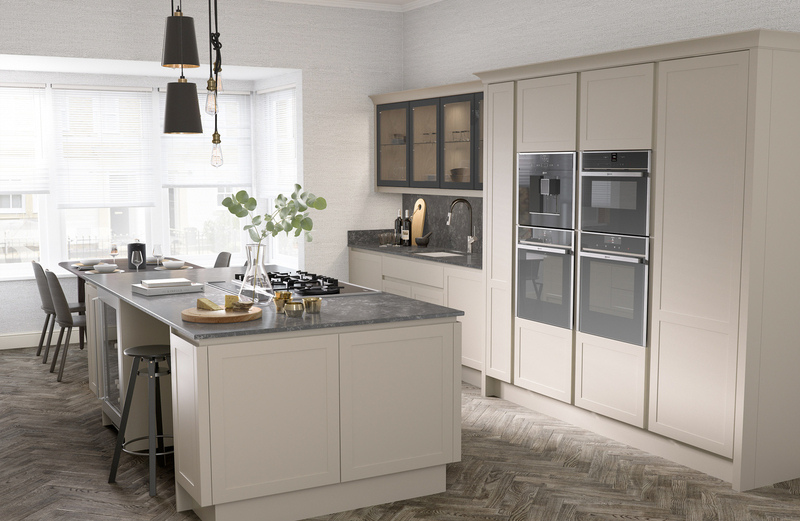 Ellerton is an elegant kitchen style with narrow frames. It is handleless as it has a reverse chamfer handle to keep the look simple. With the true handleless range there is the option of oak and painted rails to soften the appearance for a more shaker style kitchen. It is a painted HDF core so there is no graining to show on the smooth matt surface.